There’s no American football stereotype that properly fits Joey Cupido. In the OUA, without the luxury of copiously recorded combined statistics, it is nearly impossible to determine who is the fastest, who is the strongest or which player can jump the highest. If there were such a discussion, the fourth-year cornerback for McMaster would surely be involved. Standing at 5’10”, Joey Cupido is not the most physically imposing corner in the province, but the Hamilton native doesn’t seem to care. “We feel like we can stop anyone. We definitely feel we are the best defense in the country,” an exuberant Cupido said after last year’s Yates’ Cup semi-final game. Fortunately, the Marauders came out on top in that game by a score of 43-13 over a streaking Queen’s team. Gael’s Quarterback Ryan Mitchell threw a total of five interceptions in the game, four to Cupido. It was a performance that earned the outspoken Cupido his place at the top of CIS record books for interceptions in a game. Was it a fluke? Possibly, but Cupido’s performance against Queen’s was not an outlier. That type of ball-hawking play was a staple of the Marauders secondary last year as the team made its drive towards the Vanier Cup. This season, in addition to Cupido, the Marauders will bring back corners Allan Dicks and Steven Ventresca, as well as safety Michael Daly. “The secondary as a unit, we play together. We are not a selfish group. We let the game come to us,” said the third-year Ventresca, describing how teamwork and patience are imperative for his teammates. 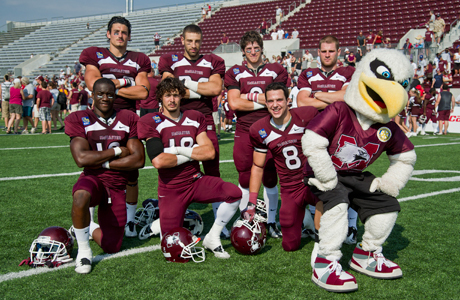 In 2011/12, McMaster was ranked atop the OUA in interceptions with 19 during the regular season. Michael Daly led the team with five, Ventresca had four, Cupido contributed three and Allan Dicks, known more for his hard hits, grabbed two. So far, this season has been much of the same for the Marauders. With only marginal room to improve, the Maroon and Grey are off to an even better start than last year. In the first game of the season, played at home on Sept. 3, Mac rolled over Guelph to the tune of 50-9. Suiting again the following Saturday, the Marauders travelled to Waterloo to beat the Warriors in a 68-21 blowout. The strong start, of course, has featured stellar play from the defensive backs. Daly has two interceptions; Cupido and Ventresca have one a piece. This group has been up to their usual tricks, as a unit holding opposing passers to 176 yards a game. In comparison, McMaster has passed the ball for an average of 359 yards per contest. 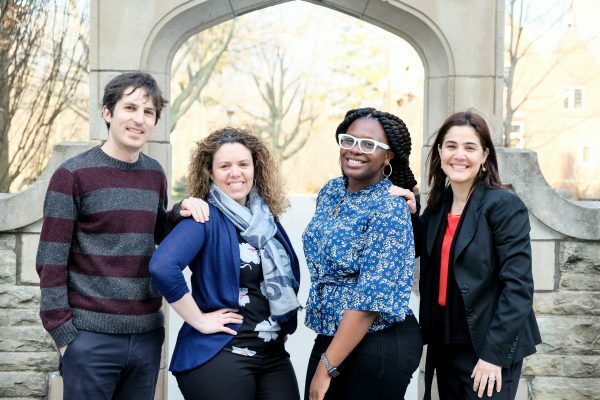 There are some new faces as well. Joining the veteran core this year are two other players to watch in freshman corners Jeremy Kyei and Marek Borucki, who each have an interception this season. Fourth-year player Stephen Dennis also returns to take snaps in the secondary. Dennis was part of the Vanier Cup winning team last year, recording 10 tackles in two playoff games.